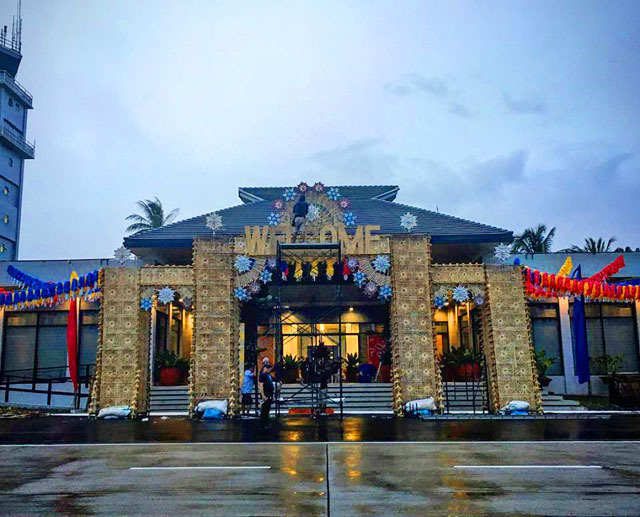 ASEAN and world leaders started arriving at the Clark International Airport in Mabalacat, Pampanga on Sunday, November 12, but they did not land on a naked tarmac. 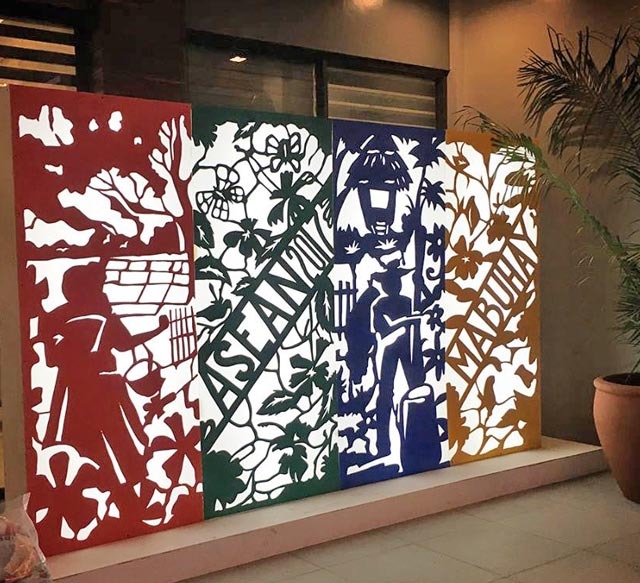 Eric Cruz, head of the Production Design and Technical Services Department of the Cultural Center of the Philippines (CCP) led the design and setup of the arrival area and the Dignitaries Lounge in Clark. “My main concept for the arrival area was to feature products of Region 3, specifically Pampanga and Bulacan,” Cruz explains. 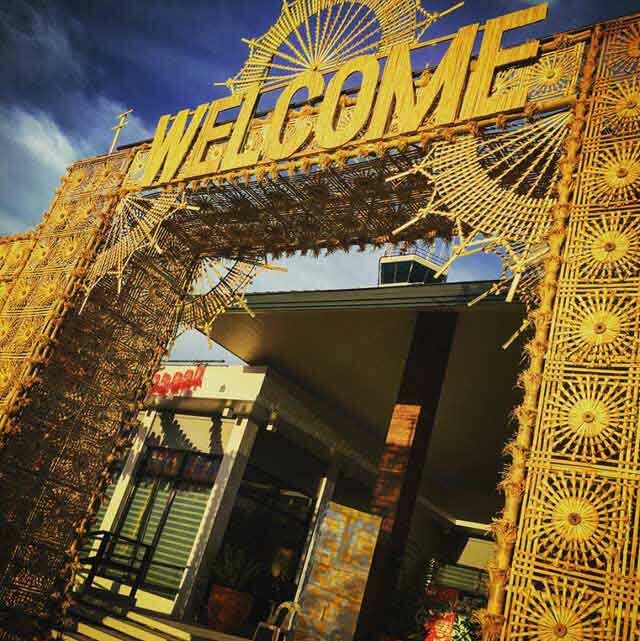 The Bulacan elements included the singakaban (intricate shaved bamboo) arches, and lightboxes (above) with cutout details that resembled the province’s traditional borlas de pastillas sweet wrappers. 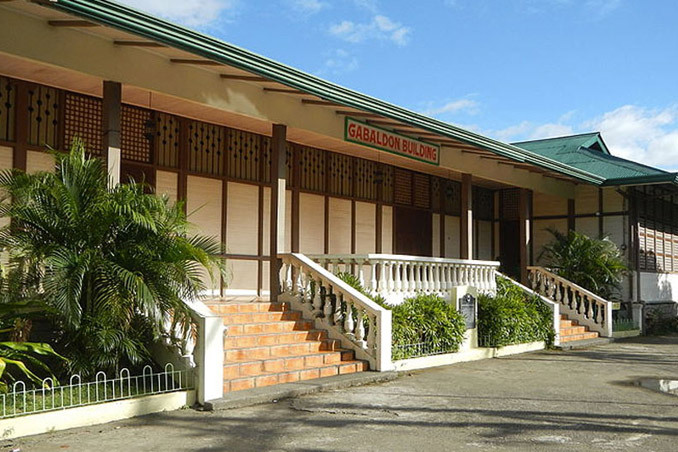 “[To represent] Pampanga, I used parol from San Fernando to decorate the arches,” Cruz continues. 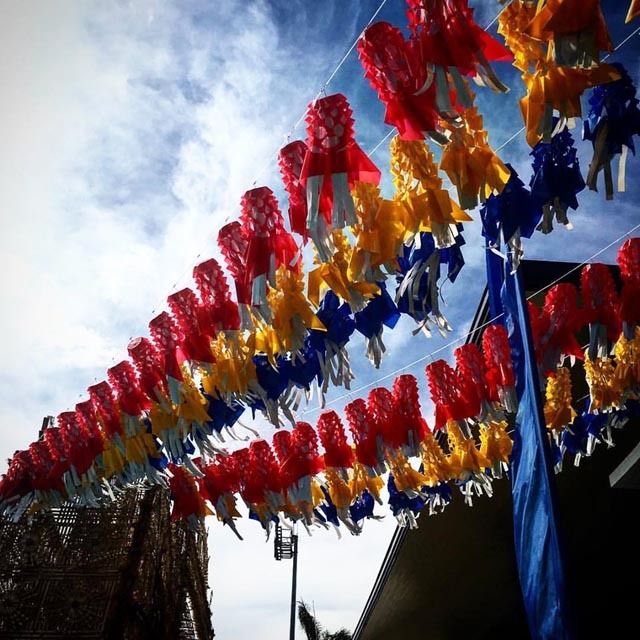 The Singkaban was also decorated with colorful parol tails as whimsical buntings. 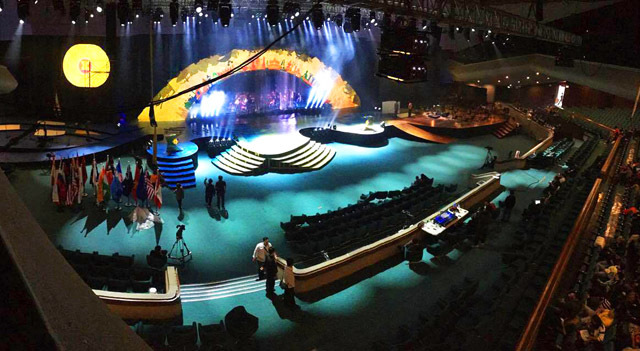 Visual storyteller Ito Kish took over the designs of the Gala Dinner at the SMX Convention Center in Pasay City later that evening. 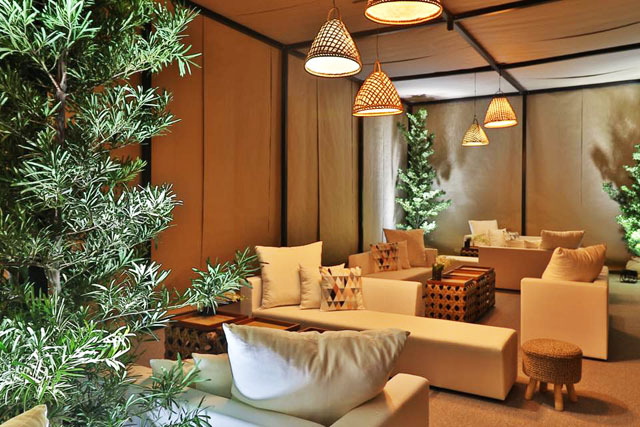 Kish created a 118sqm “gazebo” furnished with modern-Filipino furniture and plants as a holding room for the leaders before they met President Rodrigo Duterte. 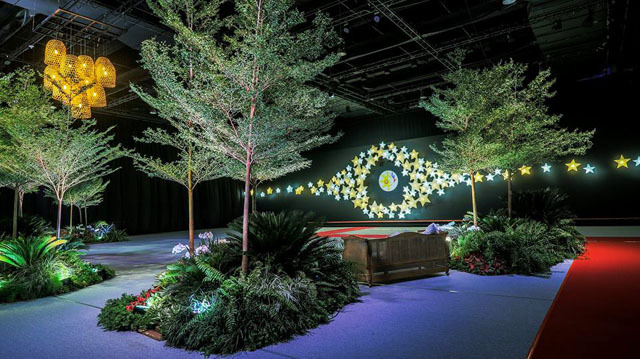 The dramatic focal point of the welcoming area was a lush garden that Kish created, where the leaders would walk through before posing for a “family picture” at a backdrop studded with 119 parols. 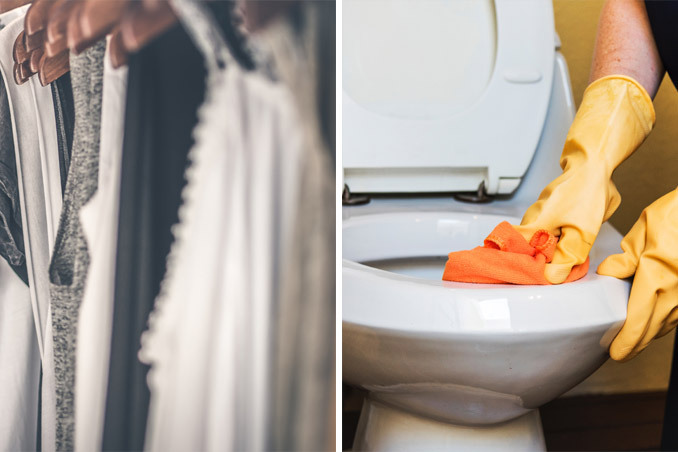 “The images made here represented everyone working together, building a bright tomorrow,” reads Kish’s caption of the photo on Instagram. 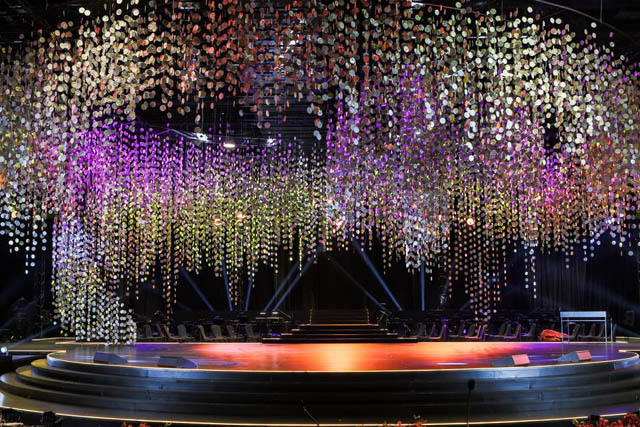 Gino Gonzales created the main stage, with thousands of illuminated paper discs by Masaeco Paper's Wataru Sakuma floating above it. 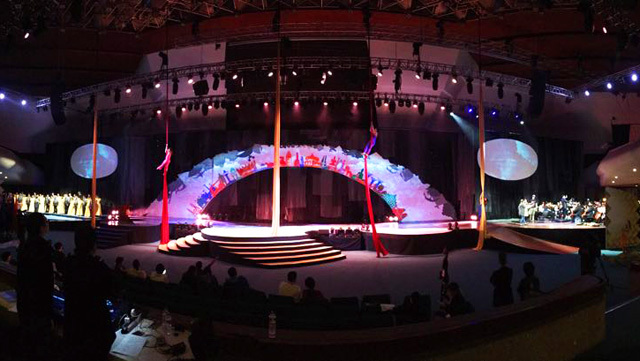 The official opening ceremonies were held at the Cultural Center of the Philippines in Manila the next morning, November 13. 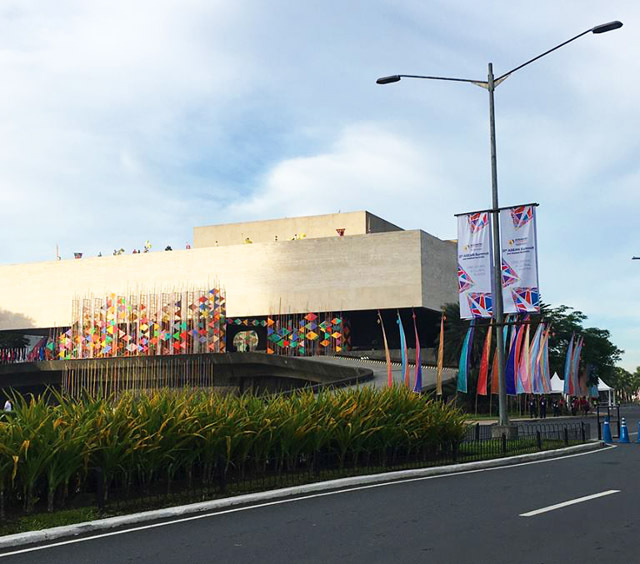 Mio Infante decorated the front lawn of the CCP with colorful flags and kite-like forms. 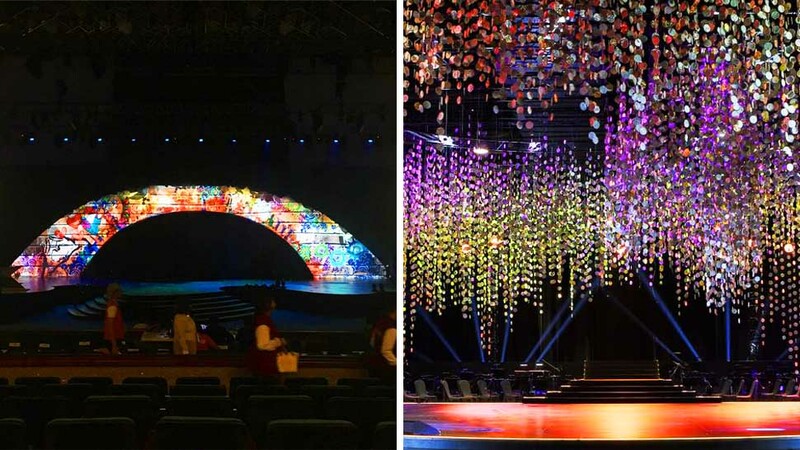 In the middle of the stage—serving as a backdrop for the performers—was a giant arch, which changes colors. Cruz says it represented a curved bridge, which showed the landmarks of the ASEAN region. “It is a symbol of lighting the future, and with the kites, they are a symbol of flight, [which is a] symbol of progress.” Ian Wong did the projections on the arches. According to Cruz, “One of the biggest challenges was the weather, especially on Thursday at Clark when there was a typhoon and we had to finish the setup.” The sun thankfully came out the next day and until the end of the ASEAN Summit. We couldn’t help but give a round of applause for these amazing Filipino designers who pulled off such a huge and impressive feat!